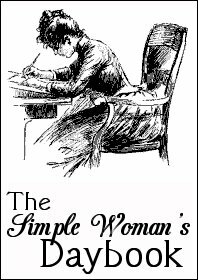 Join us in The Simple Woman's Daybook and create your own. it looks like spring has arrived early in Texas. The birds are chirping, the sky is blue, and one of ladies from a neighboring office in this industrial circle is taking a lunchtime walk and enjoying the sunshine. about finishing up my kitchen organizing and how nice it will look when it is done. I am participating in the 52 Week Organized Home Challenge and just posted the results for Week #2 - Organize Kitchen Drawers and Cabinets. for my children. I was so blessed to have four sweet babies to raise - PRINCESS, PRINCE, PEPSI, AND PUMPKIN. They're all grown up now. I am at work, and the Microwave Hamburger Helper Single Serve Cheeseburger Mac is ready. Actually it smells pretty good. a heart shaped silver locket that PUMPKIN gave me for Christmas. more space in my home. PUMPKIN moved into her apartment recently. I was so glad to give her some kitchen items. She needed the items and I needed the space. home after work today and make dinner for my darling hubby. He is spending every moment of his free time trying to help PUMPKIN by putting a different transmission in her 1987 Nissan 300ZX. what kind of popcorn toppings to make for our church's Young Women New Beginnings event Sunday night. We're planning to have a Popcorn Bar. Found some great ideas on Pinterest. that I can be a good example for others. seeing my daughter PEPSI and the grandbabies TINKERBELL and GERONIMO this weekend. I miss them so much. that life is like a three act play. In the first act, you start out very positive and hopeful. Act One took place in Heaven before our birth. We were with God. In the second act, drama happens. This life is like Act Two of that play. Happily ever after doesn't happen when you marry your prince because it is part of Act Two. Drama always ensues during Act Two. My Prince Charming and I have learned that Act Three is the happily ever after part. It begins when we return home to God, and it is worth the wait. I got my sewing room back and can't wait to fix it up again. what the future may hold for us this year. If you think you can, you can. If you think you can't, you're halfway there. is musicals. I love movie musicals and musical theater. A few plans for the rest of the week: church, getting PUMPKIN's car fixed, and working on the house. Thanks for visiting my blog. Loved your post, made me smile and I have not smiled alot today so thanks again. We are neighbors, well sorta, I am in Arkansas. Thanks for your kind words too. 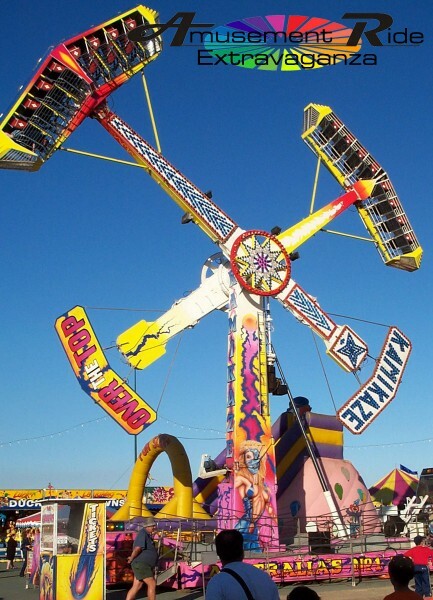 I'd like to have your job if it means checking out rides at the amusement park. Sounds FAB! Wow, that ride looks too scary for me! I love movie musicals too, the old ones like Oklahoma. Have fun with your organization challenge. Have a blessed week. An organized house is something I dream of. 52 weeks to get organized sounds practical. I just might try it. Thanks for sharing your daybook and your thoughts. Have a good week. Hello! Just wanted to stop in and say hi. Thank you for your kind visit to the Times. I agree with you on Act III and I can't wait. I like musicals too. Our favorite are Fiddler on the roof and Sound of Music. God bless you as you strive to be a good example to others. Thank you all for your wonderful comments. You made my day!